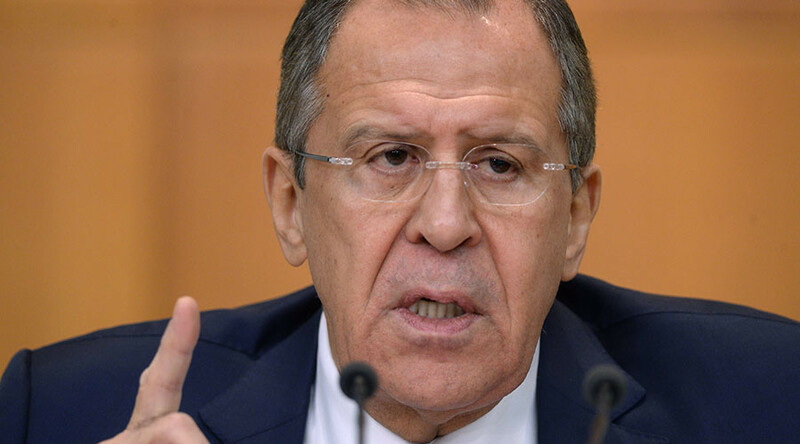 Russian Foreign Minister Sergey Lavrov has discussed the role of Russia in international relations, stressing the need for cooperation between Moscow and the West, in an article published in the Russia in Global Affairs magazine. International relations have entered a very difficult period, and Russia once again finds itself at the crossroads of key trends that determine the vector of future global development. Many different opinions have been expressed in this connection including the fear that we have a distorted view of the international situation and Russia’s international standing. I perceive this as an echo of the eternal dispute between pro-Western liberals and the advocates of Russia’s unique path. There are also those, both in Russia and outside of it, who believe that Russia is doomed to drag behind, trying to catch up with the West and forced to bend to other players’ rules, and hence will be unable to claim its rightful place in international affairs. I’d like to use this opportunity to express some of my views and to back them with examples from history and historical parallels. It is an established fact that a substantiated policy is impossible without reliance on history. This reference to history is absolutely justified, especially considering recent celebrations. In 2015, we celebrated the 70th anniversary of Victory in WWII, and in 2014, we marked a century since the start of WWI. In 2012, we marked 200 years of the Battle of Borodino and 400 years of Moscow’s liberation from the Polish invaders. If we look at these events carefully, we’ll see that they clearly point to Russia’s special role in European and global history. History doesn’t confirm the widespread belief that Russia has always camped in Europe’s backyard and has been Europe’s political outsider. I’d like to remind you that the adoption of Christianity in Russia in 988 – we marked 1025 years of that event quite recently – boosted the development of state institutions, social relations and culture and eventually made Kievan Rus a full member of the European community. At that time, dynastic marriages were the best gauge of a country’s role in the system of international relations. In the 11th century, three daughters of Grand Prince Yaroslav the Wise became the queens of Norway and Denmark, Hungary and France. Yaroslav’s sister married the Polish king and granddaughter the German emperor. Numerous scientific investigations bear witness to the high cultural and spiritual level of Rus of those days, a level that was frequently higher than in western European states. Many prominent Western thinkers recognized that Rus was part of the European context. At the same time, Russian people possessed a cultural matrix of their own and an original type of spirituality and never merged with the West. It is instructive to recall in this connection what was for my people a tragic and in many respects critical epoch of the Mongolian invasion. The great Russian poet and writer Alexander Pushkin wrote: “The barbarians did not dare to leave an enslaved Rus in their rear and returned to their Eastern steppes. Christian enlightenment was saved by a ravaged and dying Russia.” We also know an alternative view offered by prominent historian and ethnologist Lev Gumilyov, who believed that the Mongolian invasion had prompted the emergence of a new Russian ethnos and that the Great Steppe had given us an additional impetus for development. However that may be, it is clear that the said period was extremely important for the assertion of the Russian State’s independent role in Eurasia. Let us recall in this connection the policy pursued by Grand Prince Alexander Nevsky, who opted to temporarily submit to Golden Horde rulers, who were tolerant of Christianity, in order to uphold the Russians’ right to have a faith of their own and to decide their fate, despite the European West’s attempts to put Russian lands under full control and to deprive Russians of their identity. I am confident that this wise and forward-looking policy is in our genes. Rus bent under but was not broken by the heavy Mongolian yoke, and managed to emerge from this dire trial as a single state, which was later regarded by both the West and the East as the successor to the Byzantine Empire that ceased to exist in 1453. An imposing country stretching along what was practically the entire eastern perimeter of Europe, Russia began a natural expansion towards the Urals and Siberia, absorbing their huge territories. Already then it was a powerful balancing factor in European political combinations, including the well-known Thirty Years’ War that gave birth to the Westphalian system of international relations, whose principles, primarily respect for state sovereignty, are of importance even today. At this point we are approaching a dilemma that has been evident for several centuries. While the rapidly developing Moscow state naturally played an increasing role in European affairs, the European countries had apprehensions about the nascent giant in the East and tried to isolate it whenever possible and prevent it from taking part in Europe’s most important affairs. The seeming contradiction between the traditional social order and a striving for modernisation based on the most advanced experience also dates back centuries. In reality, a rapidly developing state is bound to try and make a leap forward, relying on modern technology, which does not necessarily imply the renunciation of its “cultural code.” There are many examples of Eastern societies modernising without the radical breakdown of their traditions. This is all the more typical of Russia that is essentially a branch of European civilisation. Incidentally, the need for modernisation based on European achievements was clearly manifest in Russian society under Tsar Alexis, while talented and ambitious Peter the Great gave it a strong boost. Relying on tough domestic measures and resolute, and successful, foreign policy, Peter the Great managed to put Russia into the category of Europe’s leading countries in a little over two decades. Since that time Russia’s position could no longer be ignored. Not a single European issue can be resolved without Russia’s opinion. I’d like to quote the opinion of a reputable researcher of Russian history, Hélène Carrère d'Encausse, the permanent secretary of the French Academy. She said the Russian Empire was the greatest empire of all times in the totality of all parameters – its size, an ability to administer its territories and the longevity of its existence. Following Russian philosopher Nikolai Berdyayev, she insists that history has imbued Russia with the mission of being a link between the East and the West. During at least the past two centuries any attempts to unite Europe without Russia and against it have inevitably led to grim tragedies, the consequences of which were always overcome with the decisive participation of our country. I’m referring, in part, to the Napoleonic wars upon the completion of which Russia rescued the system of international relations that was based on the balance of forces and mutual consideration for national interests and ruled out the total dominance of one state in Europe. We remember that Emperor Alexander I took an active role in the drafting of decisions of the 1815 Vienna Congress that ensured the development of Europe without serious armed clashes during the subsequent 40 years. By the same token, the Vienna system was destroyed in the wake of the desire to marginalise Russia in European affairs. Paris was obsessed with this idea during the reign of Emperor Napoleon III. In his attempt to forge an anti-Russian alliance, the French monarch was willing, as a hapless chess grandmaster, to sacrifice all the other figures. How did it play out? Indeed, Russia was defeated in the Crimean War of 1853-1856, the consequences of which it managed to overcome soon due to a consistent and far-sighted policy pursued by Chancellor Alexander Gorchakov. As for Napoleon III, he ended his rule in German captivity, and the nightmare of the Franco-German confrontation loomed over Western Europe for decades. Here is another Crimean War-related episode. As we know, the Austrian Emperor refused to help Russia, which, a few years earlier, in 1849, had come to his help during the Hungarian revolt. Then Austrian Foreign Minister Felix Schwarzenberg famously said: “Europe would be astonished by the extent of Austria’s ingratitude.” In general, the imbalance of pan-European mechanisms triggered a chain of events that led to the First World War. Notably, back then Russian diplomacy also advanced ideas that were ahead of their time. The Hague Peace conferences of 1899 and 1907, convened at the initiative of Emperor Nicholas II, were the first attempts to agree on curbing the arms race and stopping preparations for a devastating war. But not many people know about it. The First World War claimed lives and caused the suffering of countless millions of people and led to the collapse of four empires. In this connection, it is appropriate to recall yet another anniversary, which will be marked next year – the 100th anniversary of the Russian Revolution. Today we are faced with the need to develop a balanced and objective assessment of those events, especially in an environment where, particularly in the West, many are willing to use this date to mount even more information attacks on Russia, and to portray the 1917 Revolution as a barbaric coup that dragged down all of European history. Even worse, they want to equate the Soviet regime to Nazism, and partially blame it for starting WWII. Without a doubt, the Revolution of 1917 and the ensuing Civil War were a terrible tragedy for our nation. However, all other revolutions were tragic as well. This does not prevent our French colleagues from extolling their upheaval, which, in addition to the slogans of liberty, equality and fraternity, also involved the use of the guillotine, and rivers of blood. Undoubtedly, the Russian Revolution was a major event which impacted world history in many controversial ways. It has become regarded as a kind of experiment in implementing socialist ideas, which were then widely spread across Europe. The people supported them, because wide masses gravitated towards social organisation with reliance on the collective and community principles. Serious researchers clearly see the impact of reforms in the Soviet Union on the formation of the so-called welfare state in Western Europe in the post-WWII period. European governments decided to introduce unprecedented measures of social protection under the influence of the example of the Soviet Union in an effort to cut the ground from under the feet of the left-wing political forces. One can say that the 40 years following World War II were a surprisingly good time for Western Europe, which was spared the need to make its own major decisions under the umbrella of the US-Soviet confrontation and enjoyed unique opportunities for steady development. In these circumstances, Western European countries have implemented several ideas regarding ​​conversion of the capitalist and socialist models, which, as a preferred form of socioeconomic progress, were promoted by Pitirim Sorokin and other outstanding thinkers of the 20th century. Over the past 20 years, we have been witnessing the reverse process in Europe and the United States: the reduction of the middle class, increased social inequality, and the dismantling of controls over big business. The role which the Soviet Union played in decolonisation, and promoting international relations principles, such as the independent development of nations and their right to self-determination, is undeniable. I will not dwell on the points related to Europe slipping into WWII. Clearly, the anti-Russian aspirations of the European elites, and their desire to unleash Hitler's war machine on the Soviet Union played their fatal part here. Redressing the situation after this terrible disaster involved the participation of our country as a key partner in determining the parameters of the European and the world order. In this context, the notion of the “clash of two totalitarianisms,” which is now actively inculcated in European minds, including at schools, is groundless and immoral. The Soviet Union, for all its evils, never aimed to destroy entire nations. Winston Churchill, who all his life was a principled opponent of the Soviet Union and played a major role in going from the WWII alliance to a new confrontation with the Soviet Union, said that graciousness, i.e. life in accordance with conscience, is the Russian way of doing things. If you take an unbiased look at the smaller European countries, which previously were part of the Warsaw Treaty, and are now members of the EU or NATO, it is clear that the issue was not about going from subjugation to freedom, which Western masterminds like to talk about, but rather a change of leadership.Russian President Vladimir Putin spoke about it not long ago. The representatives of these countries concede behind closed doors that they can’t take any significant decision without the green light from Washington or Brussels. It seems that in the context of the 100th anniversary of the Russian Revolution, it is important for us to understand the continuity of Russian history, which should include all of its periods without exception, and the importance of the synthesis of all the positive traditions and historical experience as the basis for making dynamic advances and upholding the rightful role of our country as a leading centre of the modern world, and a provider of the values of sustainable development, security and stability. The post-war world order relied on confrontation between two world systems and was far from ideal, yet it was sufficient to preserve international peace and to avoid the worst possible temptation – the use of weapons of mass destruction, primarily nuclear weapons. There is no substance behind the popular belief that the Soviet Union’s dissolution signified Western victory in the Cold War. It was the result of our people’s will for change plus an unlucky chain of events. These developments resulted in a truly tectonic shift in the international landscape. In fact, they changed global politics altogether, considering that the end of the Cold War and related ideological confrontation offered a unique opportunity to change the European architecture on the principles of indivisible and equal security and broad cooperation without dividing lines. We had a practical chance to mend Europe’s divide and implement the dream of a common European home, which many European thinkers and politicians, including President Charles de Gaulle of France, wholeheartedly embraced. Russia was fully open to this option and advanced many proposals and initiatives in this connection. Logically, we should have created a new foundation for European security by strengthening the military and political components of the Organisation for Security and Cooperation in Europe (OSCE). Vladimir Putin said in a recent interview with the German newspaper Bild that German politician Egon Bahr proposed similar approaches. The underlying problem of this Western policy is that it disregarded the global context. The current globalised world is based on an unprecedented interconnection between countries, and so it’s impossible to develop relations between Russia and the EU as if they remained at the core of global politics as during the Cold War. We must take note of the powerful processes that are underway in Asia Pacific, the Middle East, Africa and Latin America. Rapid changes in all areas of international life is the primary sign of the current stage. Indicatively, they often take an unexpected turn. Thus, the concept of “the end of history” developed by well-known US sociologist and political researcher Francis Fukuyama, that was popular in the 1990s, has become clearly inconsistent today. According to this concept, rapid globalisation signals the ultimate victory of the liberal capitalist model, whereas all other models should adapt to it under the guidance of the wise Western teachers. In reality, the second wave of globalisation (the first occurred before World War I) led to the dispersal of global economic might and, hence, of political influence, and to the emergence of new and large centres of power, primarily in the Asia-Pacific Region. China’s rapid upsurge is the clearest example. Owing to unprecedented economic growth rates, in just three decades it became the second and, calculated as per purchasing power parity, the first economy in the world. This example illustrates an axiomatic fact – there are many development models– which rules out the monotony of existence within the uniform, Western frame of reference. Consequently, there has been a relative reduction in the influence of the so-called “historical West” that was used to seeing itself as the master of the human race’s destinies for almost five centuries. The competition on the shaping of the world order in the 21st century has toughened. The transition from the Cold War to a new international system proved to be much longer and more painful than it seemed 20-25 years ago. Against this backdrop, one of the basic issues in international affairs is the form that is being acquired by this generally natural competition between the world’s leading powers. We see how the United States and the US-led Western alliance are trying to preserve their dominant positions by any available method or, to use the American lexicon, ensure their “global leadership”. Many diverse ways of exerting pressure, economic sanctions and even direct armed intervention are being used. Large-scale information wars are being waged. Technology of unconstitutional change of governments by launching “colour” revolutions has been tried and tested. Importantly, democratic revolutions appear to be destructive for the nations targeted by such actions. Our country that went through a historical period of encouraging artificial transformations abroad, firmly proceeds from the preference of evolutionary changes that should be carried out in the forms and at a speed that conform to the traditions of a society and its level of development. Western propaganda habitually accuses Russia of “revisionism,” and the alleged desire to destroy the established international system, as if it was us who bombed Yugoslavia in 1999 in violation of the UN Charter and the Helsinki Final Act, as if it was Russia that ignored international law by invading Iraq in 2003 and distorted UN Security Council resolutions by overthrowing Muammar Gaddafi’s regime by force in Libya in 2011. There are many examples. This discourse about “revisionism” does not hold water. It is based on the simple and even primitive logic that only Washington can set the tune in world affairs. In line with this logic, the principle once formulated by George Orwell and moved to the international level, sounds like the following: all states are equal but some states are more equal than others. However, today international relations are too sophisticated a mechanism to be controlled from one centre. This is obvious given the results of US interference: There is virtually no state in Libya; Iraq is balancing on the brink of disintegration, and so on and so forth. A reliable solution to the problems of the modern world can only be achieved through serious and honest cooperation between the leading states and their associations in order to address common challenges. Such an interaction should include all the colours of the modern world, and be based on its cultural and civilisational diversity, as well as reflect the interests of the international community’s key components. We know from experience that when these principles are applied in practice, it is possible to achieve specific and tangible results, such as the agreement on the Iranian nuclear programme, the elimination of Syrian chemical weapons, the agreement on stopping hostilities in Syria, and the development of the basic parameters of the global climate agreement. This shows the need to restore the culture of compromise, the reliance on the diplomatic work, which can be difficult, even exhausting, but which remains, in essence, the only way to ensure a mutually acceptable solution to problems by peaceful means. Our approaches are shared by most countries of the world, including our Chinese partners, other BRICSand SCO nations, and our friends in the EAEU, the CSTO, and the CIS. In other words, we can say that Russia is fighting not against someone, but for the resolution of all the issues on an equal and mutually respectful basis, which alone can serve as a reliable foundation for a long-term improvement of international relations. Our most important task is to join our efforts against not some far-fetched, but very real challenges, among which the terrorist aggression is the most pressing one. The extremists from ISIS, Jabhat an-Nusra and the like managed for the first time to establish control over large territories in Syria and Iraq. They are trying to extend their influence to other countries and regions, and are committing acts of terrorism around the world. Underestimating this risk is nothing short of criminal shortsightedness. The Russian President called for forming a broad-based front in order to defeat the terrorists militarily. The Russian Aerospace Forces make an important contribution to this effort. At the same time, we are working hard to establish collective actions regarding the political settlement of the conflicts in this crisis-ridden region. Importantly, the long-term success can only be achieved on the basis of movement to the partnership of civilisations based on respectful interaction of diverse cultures and religions. We believe that human solidarity must have a moral basis formed by traditional values ​​that are largely shared by the world's leading religions. In this connection, I would like to draw your attention to the joint statement by Patriarch Kirill and Pope Francis, in which, among other things, they have expressed support for the family as a natural centre of life of individuals and society. I repeat, we are not seeking confrontation with the United States, or the European Union, or NATO. On the contrary, Russia is open to the widest possible cooperation with its Western partners. We continue to believe that the best way to ensure the interests of the peoples living in Europe is to form a common economic and humanitarian space from the Atlantic to the Pacific, so that the newly formed Eurasian Economic Union could be an integrating link between Europe and Asia Pacific. We strive to do our best to overcome obstacles on that way, including the settlement of the Ukraine crisis caused by the coup in Kiev in February 2014, on the basis of the Minsk Agreements. I’d like to quote wise and politically experienced Henry Kissinger, who, speaking recently in Moscow, said that “Russia should be perceived as an essential element of any new global equilibrium, not primarily as a threat to the United States... I am here to argue for the possibility of a dialogue that seeks to merge our futures rather than elaborate our conflicts. This requires respect by both sides of the vital values and interest of the other.” We share such an approach. And we will continue to defend the principles of law and justice in international affairs. Speaking about Russia's role in the world as a great power, Russian philosopher Ivan Ilyin said that the greatness of a country is not determined by the size of its territory or the number of its inhabitants, but by the capacity of its people and its government to take on the burden of great world problems and to deal with these problems in a creative manner. A great power is the one which, asserting its existence and its interest ... introduces a creative and meaningful legal idea to ​​the entire assembly of the nations, the entire “concert” of the peoples and states. It is difficult to disagree with these words.